Hey, kids! Let’s put on a protest! "Pay no attention to our store-bought blue jeans made by children in Bangladesh and our stylish messenger bags, hats, and t-shirts bought with our privileged parents' money!" 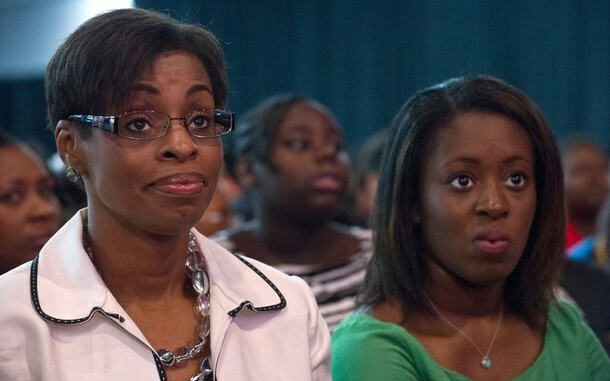 Audience reaction shots from Romney’s NAACP appearance. Priceless.